Some people think I only listen to electronic music, but that is completely untrue. In fact, if you except most music genres that end with "-core", I listen to a little bit of everything. The truth is, however, that finding good and free electronic music is much easier than with rock, reggae, blues, you name it. Today is one of these days when you're looking for electro and you find yourself soaked in reggae goodness. 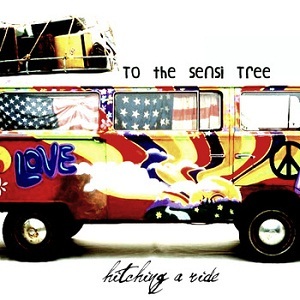 To The Sensi Tree made their album "the old school way, live, and with analog tapes", and you can really feel that old-school feeling, don't you ? I think I can, but that may be the cold-treating homeopathic medicine talking.